I have a confession to make: I despise the holiday season. Not only are the days too damned short (Sunset at 4:30 p.m.? Is this really necessary?) but the reason for the season seems to be lost on most. Instead of being kind to their fellow man and lending a hand to those less fortunate than themselves many of our fellow New Yorkers are quibbling over who will purchase that last widescreen television, electronic gizmo (that will undoubtedly be obsolete in a year) or trampling some hapless temp at Walmart. In other words acting like class “A” certified assholes. And some Americans have the temerity to wonder why the rest of the world hates us? But I digress. 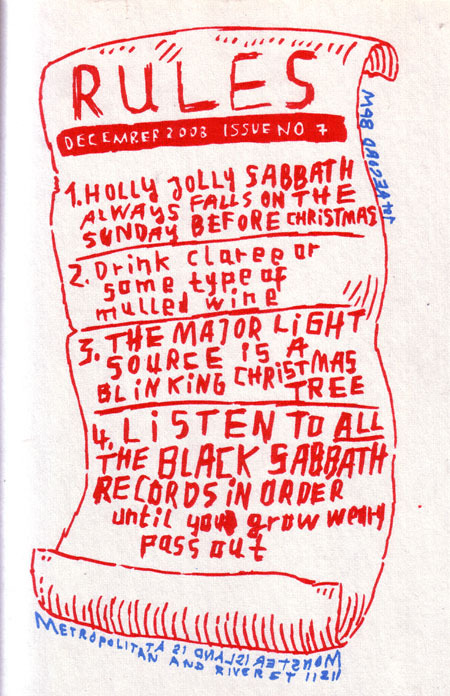 Fortunately this upcoming weekend there will be an event for people like myself: Monster Island’s 7th Annual Holly Jolly Sabbath.Those of you who are angry, tired, wanting this Christmas thing to be over already and are Black Sabbath fans (like myself) here are the rules. 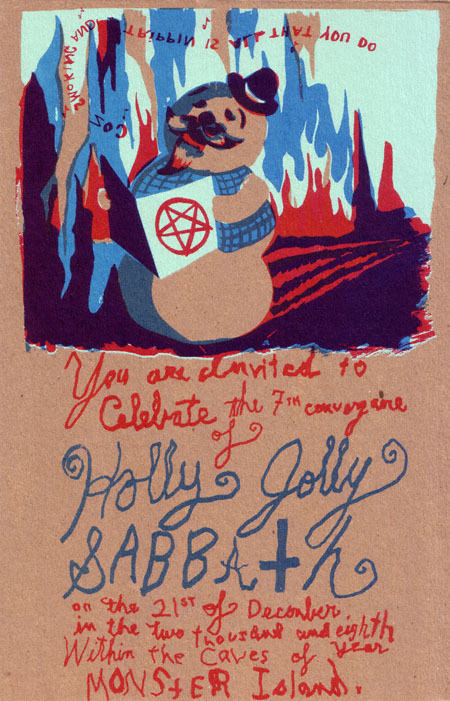 There is no mention as to whether Ronnie James Dio “Sabbath” will be included in this event. I certainly hope not. I’m an Ozzy gal 100%! For the record this post was writted while listening to “Crazy Train”.